After our Wal-mart shopping day, we needed a break. 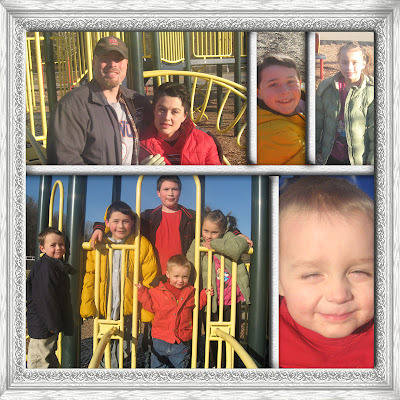 So, the whole family went the the Elementary school in Jasper (about 10 minutes down the road) and played at the park. What fun we had. We'll definitely have to do that again! Thats a cute idea! I like the big frame. Cute pictures too!